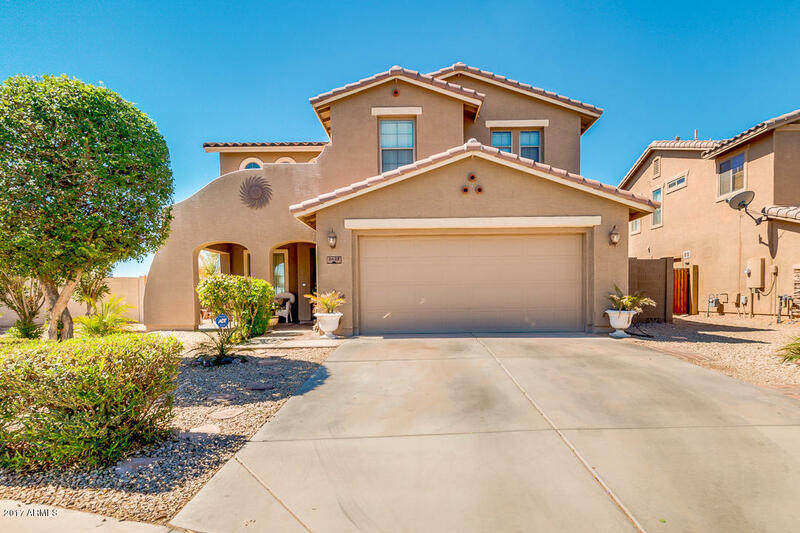 This 4 bed, 2.5 bath home located in Casa Grande is a beauty! Highly upgraded and in impeccable condition, just waiting for a new family. Featuring low maintenance desert front landscaping, 3 car tandem garage, and designer paint throughout. This lovely kitchen is equipped with all appliances, recessed lighting, an island with breakfast bar, a pantry, and ample cabinetry. Spacious master bedroom boasts a lavish full bath, his and her sinks, and a huge walk-in closet. Gorgeous grassy backyard is comprised of a covered patio, sitting area, storage shed, and lots of potential for truly making it your own. Don't wait any longer and schedule a showing today! Anticipated additions of Lucid Motors, PhoenixMart, as well as proposed 1,500 acre theme park in the I10/I8 corridor make this an attractive purchase. Get in the area before everyone else does.